Hi, guys. It’s Karl here, and welcome to another marketing snippet to help you grow your business. Today, I’m going to cover a topic which a lot of people ask me and us in the team about blogging because one of the difficulties we have in business is ‘How to find the time to write regular blog posts”. And it’s fairly universal. We all have roughly the same number of hours in the day, and how you use that time often dictates how well your business does and how well you perform your function and your role, etc. Blogging can just seem like something else on the marketing spectrum that you need to do. But the good news is there’s a handful of tools that you can use to make your blogging that little bit more consistent without you having to put in an absolute tonne of work. 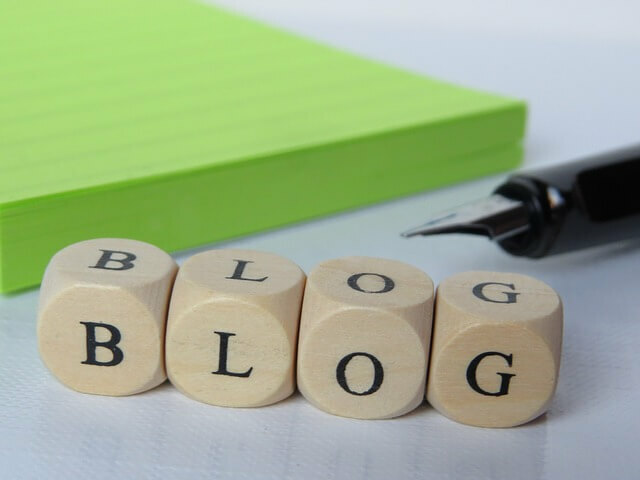 Now, one thing I would say is that blogging is the number one contributing factor to good search rankings for your website. So I cannot understate the importance of writing regular content for your website. The first thing I want to cover is something I have done for about a year now: I record my blog posts, and I have somebody else transcribe them. In other words, I don’t, actually, sit and type it. I audio record it, as if I’m making a presentation, and then somebody else types it all up. And then, it takes me about 15 minutes to just edit it a little bit, and then publish it onto my blog. Typically, I can dictate somewhere around 600, 700 words in about five minutes. But to sit and type that stuff would take me well over an hour. Now, there are loads of transcription services out there. They’re usually dirt cheap compared to what your hourly rate could be if you’d spent it on doing something else like selling time and expertise to customers. So consider a transcription service. If you want to know who does my transcriptions, please let us know. But there’s bound to be a virtual PA service not far from you. There’s plenty of services you can find on the web. But I would suggest that you find someone who speaks your language as their primary language. It can go badly wrong if you’re sending it over to somebody who doesn’t have English as their native language. This because you could end up spending more time tidying up the language than you did dictating it in the first place. That’s not the key here. So record your blog posts and transcribe them, and then you can put them onto your blog. Something else you can do, and I can appreciate that it’s not for everybody, is to do this. Create a video. When that video goes onto YouTube, you can send over that YouTube video to a transcriber, and the transcriber can send you back the text, and then both the video and the transcription, the text itself, can go onto your blog. It’s a fantastic, easy, and cheap way of getting several different types of content out into your market. You’ve got YouTube over here, which is fantastic for SEO. You’ve got blog over here, which is fantastic for your website’s SEO, and you’ve got the opportunity to promote both different types of content out to your other social media channels. Now, I know that not everybody’s going to want to stand in front of a camera and talk for however many minutes, but if you are that kind of person but you can even use your smart phone. There’s load of free technology you can download to help you edit a video. If you’ve got a Mac, you can use iMovie, and that’s free. You’ve got other free video editing tools you can download that’s open source software. So, again, it doesn’t have to cost you anything. To be honest, I’m doing this because I know that video blogging and video SEO is fantastic for my search rankings, good for my website, and it’s a great way of communicating with your customers, potential customers, and clients. So don’t overlook video blogging. But, like I said, it’s not for everyone. Another tool that you could use if you can’t find chunks of time every day is just to write a little bit of a blog post every single day. And as little as 150 words would get you a 750-word blog post by the end of the week. And how long would it take you to write 150 words, which could just be a paragraph? As long as you know what you’re going to be writing about, and you can follow the thread day after day, you could just write a little bit every day. By the end of the week, that job is done, and then you can publish your blog post after a little bit of tidying up onto the web. It’s a really simple way of getting over the hurdle. And I used to be exactly the same, where I didn’t want to face sitting down and typing out hundreds of words at a time on a particular topic, Do a little a day — little and often. I promise you, by the end of the week, you’ll have a surprisingly long blog post. And the last one that I would urge you to consider is to use a blog writing service. We offer a blog writing service, and you can find information about it below this video. But there are other people who can do this. A couple of pointers on this. First of all, find someone who you can have a discussion with. Find someone who speaks your language as their first language. Nothing worse, in my experience, than having a blog post that’s written by somebody who speaks a different language. Then you’re having to spend time tidying it up to read right in English or whichever language you choose to write in. So use a native speaker. And, also, try out a handful of different services as well. We know that we’re particularly good at what we do. Some of our clients rely on us to write their content. But if you are contracting it out to other people it’s wise to try a few different sources. There’s nothing wrong with that. Choose the people that A) you like the content they’ve written and B) you think you can have a good relationship with. However, there is a caveat with this way of writing blog posts. 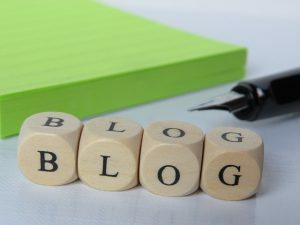 The blog writer is not going to write a blog post the way you would. Now, this took me a little while to get my head around when I bought blog posting a while ago — was that somebody else is going to write in a completely different way to me. And I wasn’t altogether comfortable with that. I’m not suggesting you would, but if you want the content, and you genuinely don’t have the time and don’t mind paying for it, then use a blog-writing service. I promise it can help a lot. There’s lot of services out there. We have one and our clients rave about it. But the key is this: Over and above, no matter how you get this done, please go out there and write a regular blog. Like I said earlier, Google is looking for regularly updated content on websites, and those that do it well and do it consistently are going to rank above their competition over time. So I hope that’s been useful. If you have any questions, come back to me on this, on all of these videos. Please come back to me. You should now have no excuses because you know “How To Find The Time To Write Regular Blog Posts”. Blogging is very important for websites but finding the time to write blog posts can be a challenge. This article gives you 4 simple ideas for getting that all-important content written with minimum hassle.